The family's favorite pets are right here on this little wall peg rack. 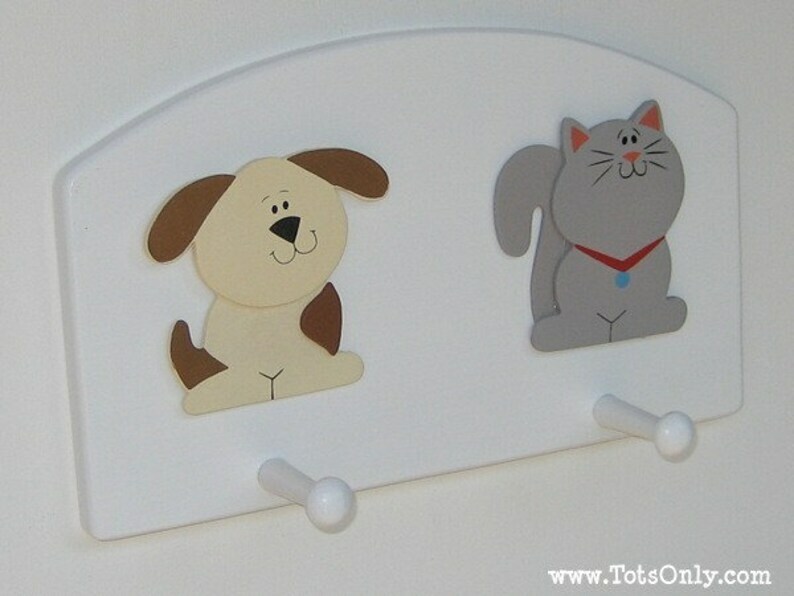 Both of these cute pets are built up with multiple layers of thin crafter's plywood which gives the peg rack a great dimensional effect. Keyhole slots have been cut on the back so the rack stays flush and stable against the wall. Mounting screws included. Peg rack ships via Priority Mail, estimated transit of 2 to 3 business days. 9½ inches wide (24 cm) and 7½ inches high (19 cm) with two 2 inch (5 cm) pegs.